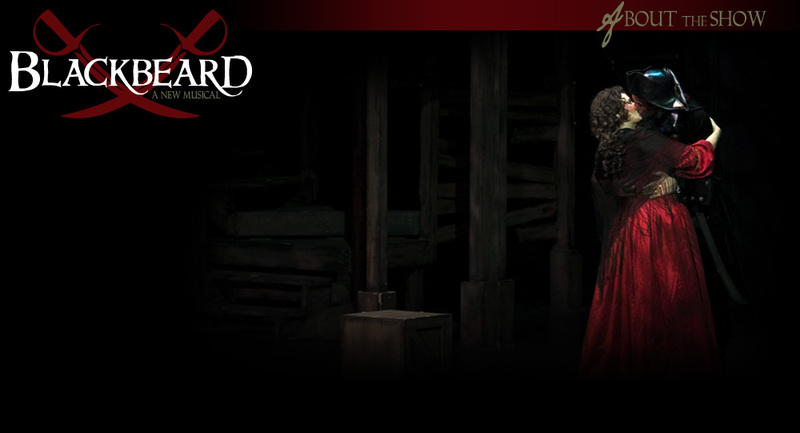 Blackbeard is an exciting new musical by Rob Gardner. The show tells the story of Edward Teach—better known as Blackbeard—who used his fearsome façade to capture and plunder his way into legend. The action surrounds the pirate’s famously brazen blockade of Charleston Harbor, where he takes a ship full of passengers hostage and among them, the fiancée to Lt. Robert Maynard of the Royal Navy. But the Governor refuses to pay the bizarre ransom: a chest full of medicine. Meanwhile, despite warnings of bad luck, Blackbeard has brought aboard his latest pursuit, a woman named Mary, who challenges his façade and sets in motion events that will change everything. In September 2008, Blackbeard completed its world premiere production at the prestigious Herberger Theater Center in Phoenix. The show was extremely well received by audiences and is now aimed for Broadway. Click here for News and Reviews. The world premiere production was directed by Cambrian James and music directed by the composer, Rob Gardner. For a full cast and creative list and bios, visit the Cast and Creative page. A recording was also made of this production. For information on that visit the Recording page.